How many times have you wished you could center your smart phone's lens right over the center of the eyepiece lens to grab an image of the Moon or a bright planet? It's not easy to hand hold it as you will find out if you try. 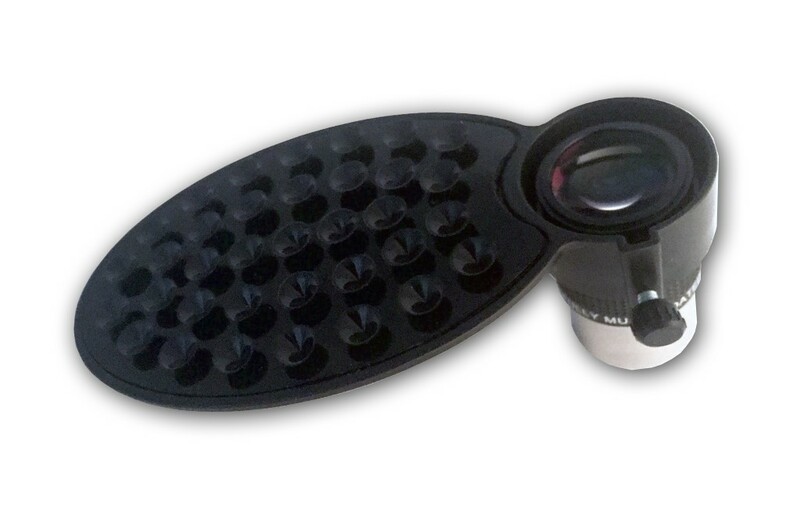 This handy adapter works with any smart phone, holding it securely with a setscrew to a standard size barrel 1.25-inch eyepiece. 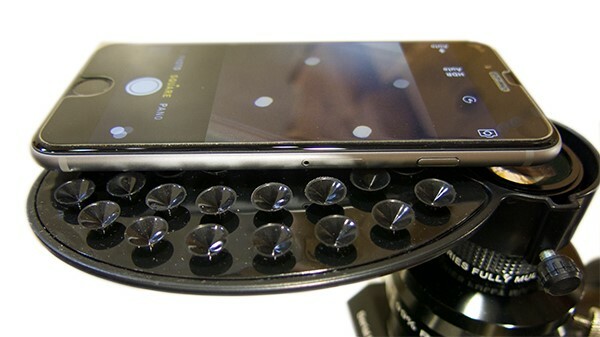 And with 35 soft silicon rubber suction cups, it will hold your smart phone firmly in the precise position, allow you to center the camera's lens.